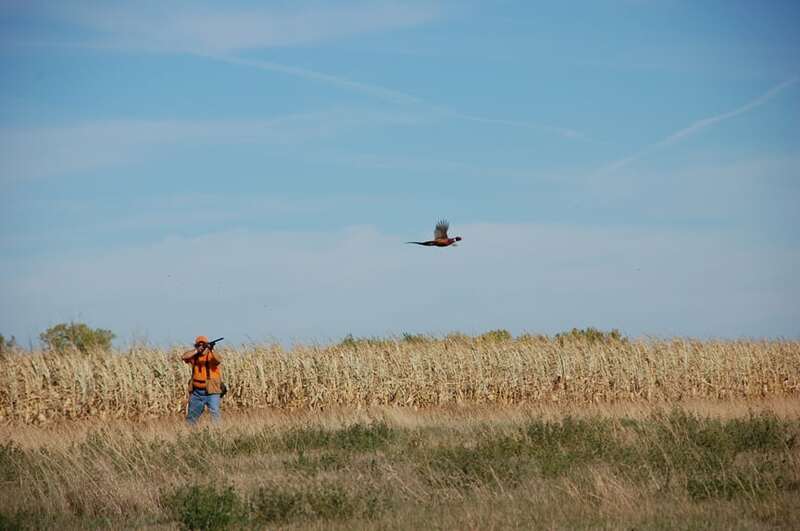 As any hunter knows, habitat is the key to good pheasant numbers and over the last several years our pheasant hunting in Nebraska and South Dakota has changed, because of those years higher crop prices due to the disappearance of our habitat,. It was not all that long ago, because of our steep hilly terrain, where I reside, we had thousands of acres of heavy thick CRP fields not too far from town. Since that time, the price of row crops has spelled the end of much of that habitat. While I sit here working on this column, I cannot help but think back to the great pheasant hunting and the good times I had in the field. It seems like only yesterday, working my way along a meandering creek bottom that worked its way through a steep hillside covered by heavy plum thickets. As I approached the plum thicket, my black Lab Mo-Jo locked up, on point and seriously thinking about creeping in on a bird buried deep in the middle of the snarled mess of plum thicket and tumbleweeds. The bird seemed content to sit tight and wait for us to pass, but Mo-Jo would have nothing to do with and was having a hard time staying on point. When I told him to “get it out of there”, he charged into the middle, flushing the bird out the opposite end. Unable to see the bird at first because of the thicket, I was not sure what the bird was, but cackle gave him away, I brought my my shotgun up and as he appeared the far end of the thicket, I dropped him with a load of number five shot. I praised Mo-Jo as he brought the bird back to me; a beautiful, long spurred rooster with long tail feathers, one of the nicest roosters I have ever taken and one that adorns the wall of my office to this day. My Lab did a great job of locating and pointing the bird, the flush with the bird cackling as he cleared the thicket was picture perfect as was the shot, making memories that I will always remember. I often think of this and other hunts for the South Dakota state bird, enjoying every one of those past hunts. 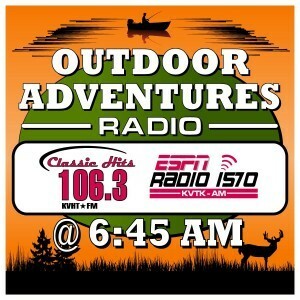 Like any other things I pursue in the outdoors, I want to know as much about what I am after as it can help me to understand them more clearly. Ringneck pheasants are a beautiful bird, related to other pheasants, yet in a way completely different. In order to understand them completely, I did some research and came up with these facts about the Ringneck Pheasant that call the Dakotas and Nebraska home. Listed below is some of the interesting Ringneck Pheasant information that I came across. * Judge Owen Nickerson Denny brought the first 30 pheasants, native to China. He brought them to the United States in 1881 with 26 of the 30 surviving the journey. * The first successful stocking of pheasants in South Dakota was in June 1908 when H.P. Packard, J. Schalkle and H.A. Hagmann secured three pairs of pheasants from Grants Pass, Oregon. * The first recorded stocking in South Dakota was north of Redfield. * In Nebraska, the first pheasants purchased by our State’s legislature, arrived in 1915, in the next ten years, the bird numbers increased and had spread out in Howard, Sherman, Greeley and Valley counties. * The first Nebraska pheasant-hunting season opened in 1927, a three-day pheasant season, held in October in Wheeler and parts of Sherman counties. * Pheasant nesting season begins with courtship as roosters scatter from winter cover to establish their territories. * The roosters crowing attracts the hens, and if they can find good nesting cover, they will their begin nest building. * With the arrival of the breeding season, roosters will gather a harem of three to seven hens and fight to keep them. *During the spring, the perfect ratio of hens to roosters is usually about three to one. * Once the hen’s completes the nest construction, she will lay an egg each day. The average clutch, the number of eggs in a nest is twelve, but they may lay as many as eighteen eggs. * If a predator destroys the nest, she will attempt to re-nest from one to four times during the spring nesting season. * When the hen is laying eggs, she will seek out calcium and protein, needed to produce the eggs, with her diet containing 10 times more calcium than that of the rooster. * After all the eggs are laid, with the actual number depending on the health of the hen, she begins incubating the eggs and only leave the nest one or two times a day to feed. * Twenty-three days after the incubation begins, the eggs will start to hatch. *The average date nest construction begins is between March 15th to July 15th, with the average date incubation starts being May 24th. However, it can take place anytime from April 1st through August 1st with the average hatch occurring around June 15th. * After hatching, the hens will remain with the brood for eight to ten weeks. * Untimely heavy rain and damp weather are a real problem for the young chicks as when they follow the hen through the wet grass because they have not yet developed their feathers, the down that covers their body, acts like a sponge soaking them to the where they develop hypothermia and die. Those that survive are able to get in under the hens protective feathers and survive the wet weather. * Pheasant chicks will immediately begin growing flight feathers, and can make short flights when they are two weeks of age. * By the time the young pheasants reach sixteen weeks of age, their plumage is virtually indistinguishable from adults. * During most of the growing season, pheasants get moisture from the insects they eat and the dew on the plants. * The pheasant’s diet consists of berries, seeds, young shoots and insects. Once summer arrives, the chicks will eat primarily insects with the adults feeding on weed seeds. * Roosters will generally weigh from three and a half to four pounds while a hen will come in at two to two and a half pounds. * On flatter terrain, a ringneck pheasant can run from eight to ten miles per hour and once they take wing they can fly up to forty-eight miles per hour. *Pheasants rely on good heavy habitat to insulate them from the cold weather, it cut the wind chill, providing a warmer and less energy-demanding climate for the pheasants. * Pheasants main predators include: Fox, Raccoon as chicks, as well as Fox, Hawks, Owls and Man. * About thirty percent of the pheasants will survive from one year to the next with only two or three percent making it to three whether hunted or not. There is plenty of time before season opens and perhaps this information will help you to understand why there can be a huge change in bird numbers, increasing or decreasing from one season to the next.